A Dermal filler is a gel-like substance designed to help fill in facial lines and wrinkles as well as to augment parts of the face such as jaw, cheeks and lips in order to restore a more youthful appearance. Fillers are of different degrees of viscosity or thickness and this is taken into account when treating the different parts of the face. 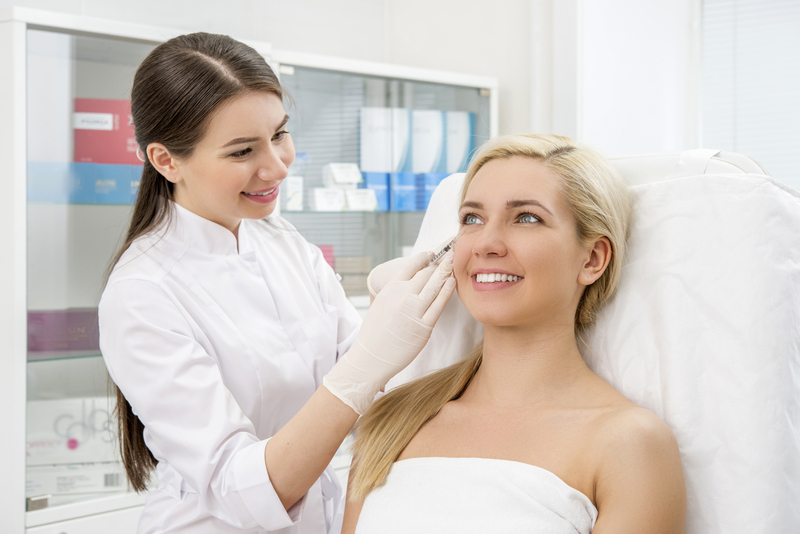 The procedure normally takes approximately 20 to 30 minutes and produce immediate results. Most fillers provide a temporary skin improvement, lasting for at least 6 months and up to 18 months, they are slowly broken down and reabsorbed by the body. The longevity of a filler is also dependent on lifestyle and use of alcohol, sun beds and smoking to name a few of the factors that can speed absorption into the body. Hyaluronic acid filler not only is the most popular but also the safest type of filler used as it can be broken down and reversed if required. Hyaluronic acid – HA, is naturally present in the skin and needed for good tissue hydration, giving skin a plump smooth and healthy look. Fillers are a great way of adding HA to skin while increasing volume and correcting facial lines. We offer hyaluronidase treatment to dissolve over accumulation of filler from past procedures and to treat areas where filler has caused vascular compromise. However we recommend that you first try to be seen by the practitioner where your initial procedure was carried out for correction. The treatment involves injecting Hyalase in the affected and surrounding area. This requires a patch test on the forearm of 4-8units of Hyalase and the client to be kept under observation for 20-30min prior to procedure to assess for any skin reaction or allergy. A consent form must be signed by the client and occasionally a repeated treatment may be necessary, however Hyalase normally starts to work within minutes and is very effective. With age our faces go through a number of changes affecting facial bone structure and volume loss. 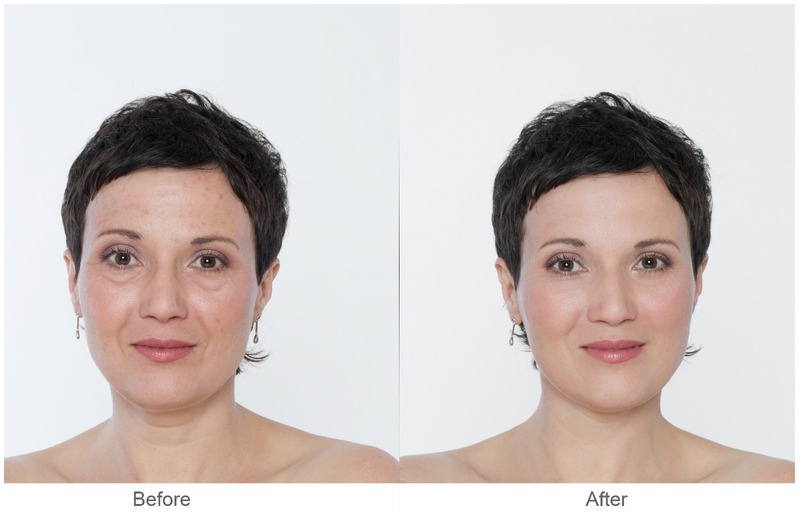 The younger face presents an even distribution of volume and a smooth transition from one area of the face to another. As we age sulcus starts to appear between the cheeks and lower eyelid, creating a hollow appearance under the eyes referred to as the Tear Trough. Tear Trough is formed due to decreased facial muscle mass, along with the descent of the molar fat pad (which forms the upper part of the cheek) and the skin’s inability to accommodate the loss of volume. Together these factors cause the skin to sag, forming the Tear Trough, Nasalabial folds and Jowling. Occasionally Tear Trough is aggravated by possible sub-orbital (under eye) fat herniation, giving the appearance of an eye bag instead of hollowness. In both cases the client often looks tired and tends to express concerns of premature ageing. In order to treat Tear Trough, a very soft filler is injected underneath the eye area combined with a thicker filler to contour and volumise the cheek area. The procedure takes approximately 30 minutes to complete and causes minimum discomfort although some periorbital bruising may occur. Optimum results are normally seen 2 weeks post procedure but a significant improvement can be seen immediately after the procedure. Note that clients who have severe under eye fat pads would benefit from blepharoplasty surgery instead. Clients who have under eye fluid retention will not be suitable for dermal fillers in this area. The nose is one of the most defining features of the face especially from a profile view, for this reason reshaping of the nose using Dermal Fillers is a growing area of the aesthetic industry. 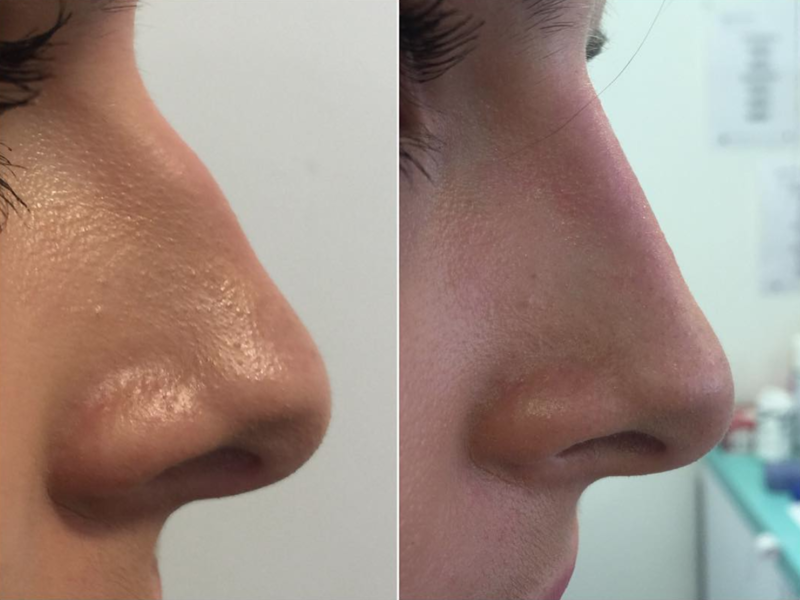 The use of Dermal Fillers for minor corrections in this area provides a safer option than surgical Rhinoplasty while giving instant results and high client satisfaction. Profhilo® is particularly indicated for the treatment of skin laxity in the lower face. As we age the body’s ability to produce hyaluronic acid decreases, causing an increase in skin laxity. The reduction of blood vessels also compromises the supply of nutrients to the skin causing ageing and facial lines. Profhilo® is a new product made up of pure Hyaluronic acid with several decades of scientific research behind it. This new patented technology combines 32mg of high molecular weight hyaluronic acid and 32mg of low molecular weight hyaluronic acid in a 2ml syringe of 64mg of HA. This 64mg HA is a unique hybrid product in the market which is long lasting and able to cause bio remodelling of the skin for tightness, turgor and rejuvenation. It is recommended to repeat this protocol every 6 months for maintenance and long lasting results. Volite HA uses Juvéderm® Volite™ hyaluronic acid to rejuvenate the skin. The treatment is delivered through a number of micro-injections which deeply hydrate the skin while providing a more radiant and younger looking appearance. This treatment is vital in order to keep good cell balance and skin health. As we age our skin decreases its production of hyaluronic acid and collagen which results in saggy, tired looking skin with volume loss and wrinkles. Juvéderm® Volite™ helps to boost collagen production and to enhances the elasticity, hydration, smoothness and brightness of the skin. 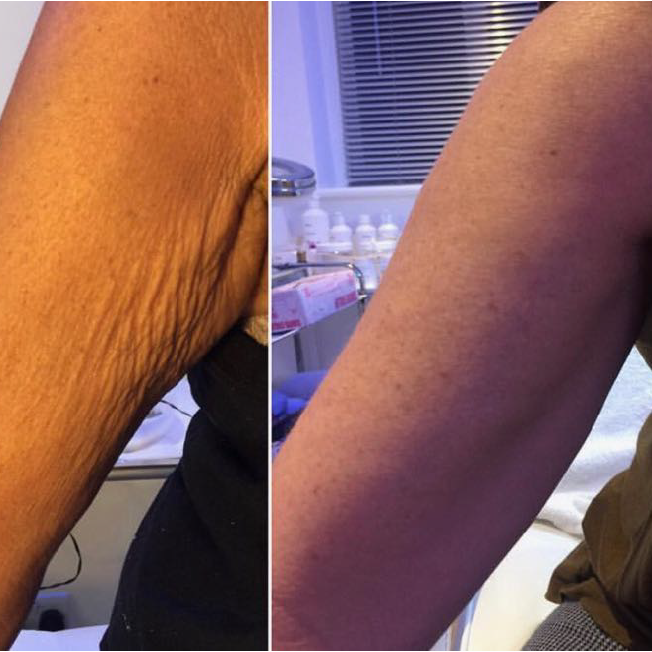 Visible results after 6 weeks which will last 9-12 months.